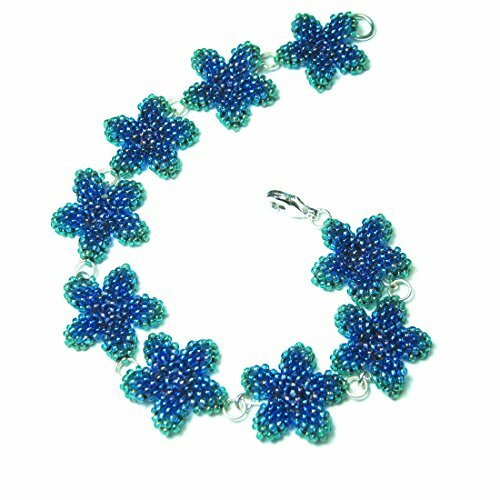 A beautiful and colorful island-style bracelet featuring 9 plumeria flowers; hand beaded using over 1,000 super-tiny peacock blue and green glass beads, strung and stitched one bead at a time. Each tiny flower measures 17 millimeters. Bracelet is finished with a silver plated lobster clasp. If you have any questions about this product by Heart in Hawaii, contact us by completing and submitting the form below. If you are looking for a specif part number, please include it with your message.